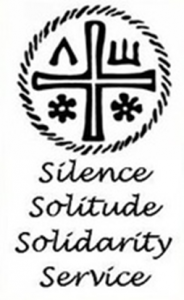 This silent retreat presents an opportunity for deeper immersion in the practice of Centering Prayer and prayerful silence as taught by Contemplative Outreach. The guidelines that comprise the Method of Centering Prayer will be explored. DVD’s featuring Father Carl Arico will demonstrate the wisdom of this silent practice which calls us to live with contemplative awareness, prompted by the Spirit, we consent to God’s presence and action in our lives. The retreat will be enhanced with Eucharist, Lectio Divina and the opportunity for soul accompaniment with retreat facilitators. Time: Arrival is from 3 p.m. on Monday, January 28th. Supper is at 6 p.m. and Opening is at 7 p.m. The retreat completes after breakfast on the last day. 550 euro. In order to register, a non-refundable deposit of 100 euro is required.